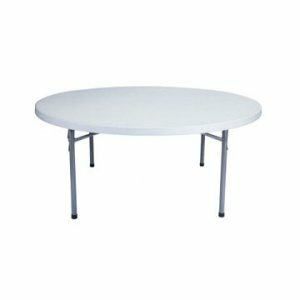 Ningbo Furniture endeavours to provide tables and chairs for all occasions and as many venues as possible. 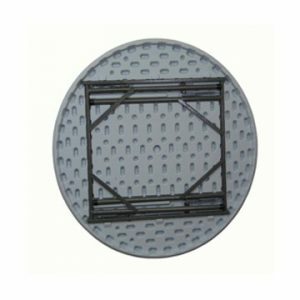 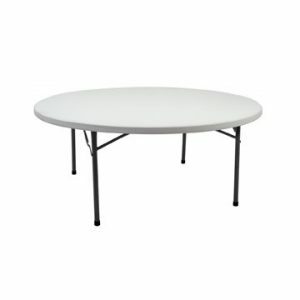 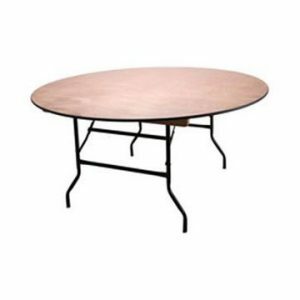 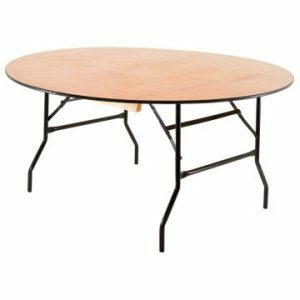 This is the 5ft 3in round plastic trestle table which can easily be combined with other sizes in the range (3ft 8in, 5ft and 6ft round tables) as well as a number of rectangular and square plastic trestle tables. 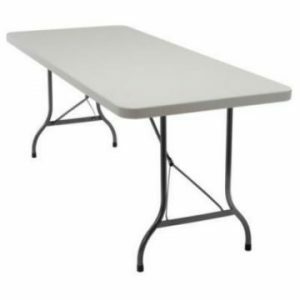 Whether you are hosting a catering event such as a wedding reception, Christmas party or other celebration, a number of tables this size or a combination of the various sizes can help to make your event a success. 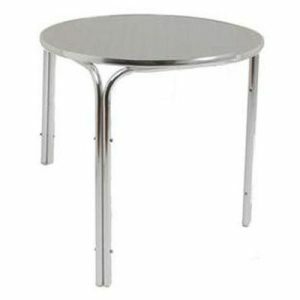 Being made from a combination of plastic (table top) and steel (legs and frame) creates a product that whilst fairly lightweight in nature is also very strong and sturdy. 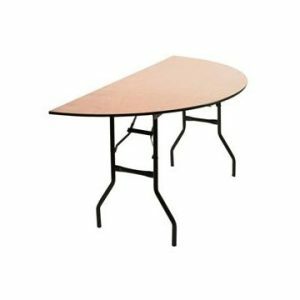 At the conclusion of your event, the tables can be folded flat, stacked and either stored away or transported to another venue. We also stock a variety of banqueting chairs if you are looking to purchase both at the same time.